Wednesday is Valentines Day… it’s time to plan something special for our loved ones. Remember it is the thought that counts. With that being said, if you are like many Pool World customers then you are already ahead of the game! Take a moment to plan how you can transform your home and backyard into the perfect romantic spot. Select a card that expresses how you feel about your loved one, clean the house, pick out some of your two’s favorite beats, prep and cook dinner, and also have their favorite chocolates on hand. Check on your hot tub and make sure that it’s clean, hot, and ready for a soak in a moments notice. Take a moment and slow down to focus on the details to make your valentine feel special. Take advantage of having a hot tub at home! It’s the perfect time to look at the night sky and spend some quality time together. The warm environment will create a space that will encourage communication, and connecting while helping to reduce stress. Valentines Day is meant to be spent with the ones you love! 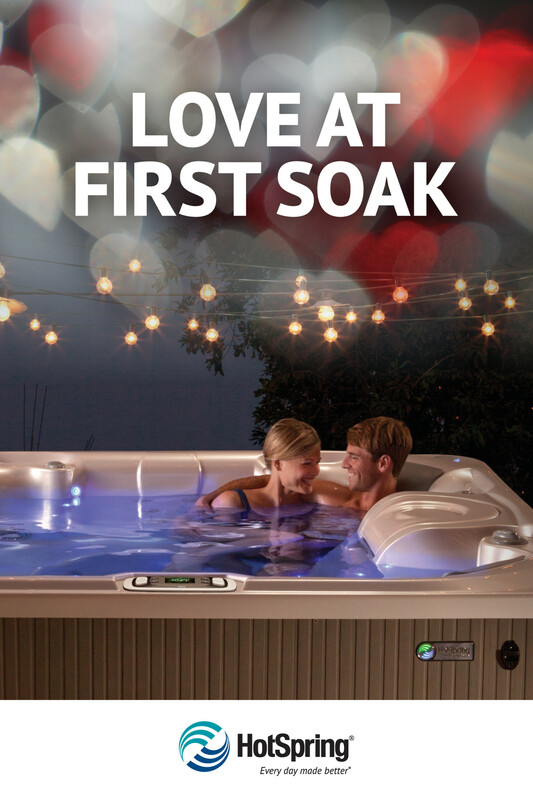 And if you are looking for that perfect hot tub to spend those moments together for today, tomorrow, next week and even five years from now, Pool World has the perfect hot tub for you!